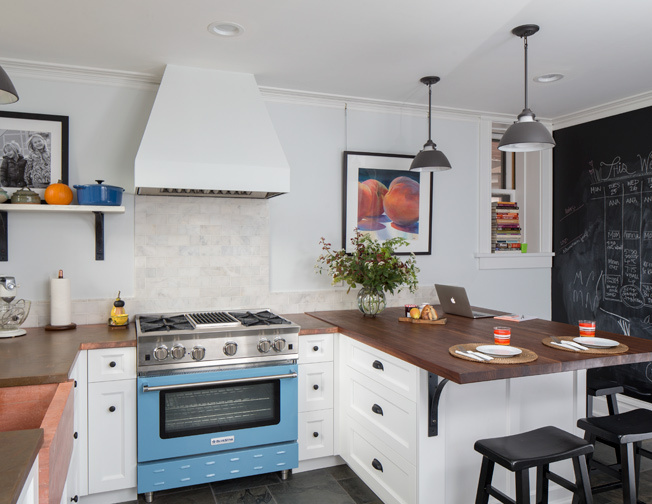 Gegg Design & Cabinetry helped bring this 1904 kitchen back to its original location after being moved to what was the formal dining room. The dynamics of the layout didn’t work for the homeowners, so the decision was made to move the kitchen, but with an updated feel and function that suited their lifestyle. Double windows were removed and a new structural opening was created to let in even more light. A window seat was also added. The existing refrigerator was built into the wall between two arched openings. The pantry was removed and replaced with a coffee area. The decision was made to have no upper cabinets on the L-shape portion of the space to allow for a space for art. The base cabinet corners of the L were intentionally left blank because the homeowner did not like “super susans” and preferred a design with functional drawer bases and pullouts. 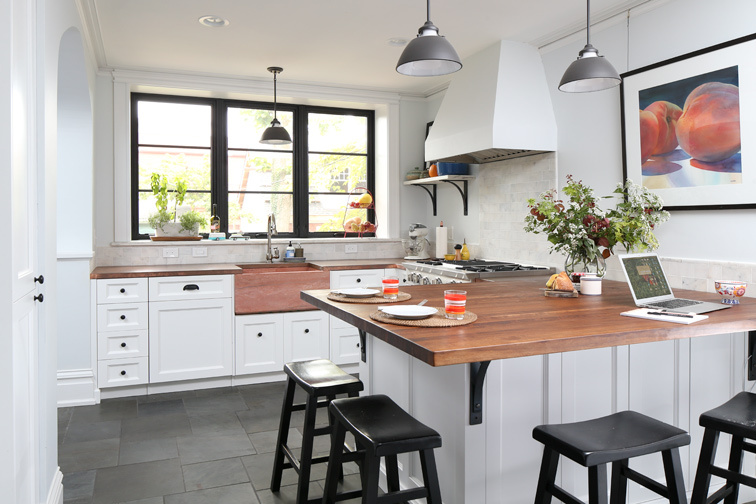 Selections include European-style cabinets with a one-inch-thick door, a walnut wood top on the peninsula, copper tops on the L-shape portion, a solid carved stone sink, a site-built hood to blend with the plaster wall, and a painted chalkboard wall for family planning. While this kitchen is back to where it began, it is nothing like 1904! The designer did a lot in a small space, and the use of drawer storage is smart and functional. 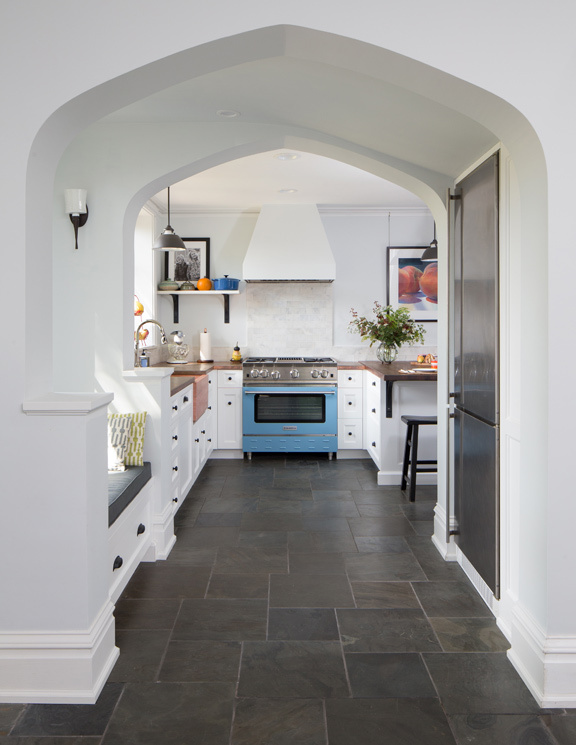 We love the cathedral arch and how the island is wrapped in seating.